Wear your Blackhawks spirit with pride in this Chicago Blackhawks Long Sleeve Hoodie! 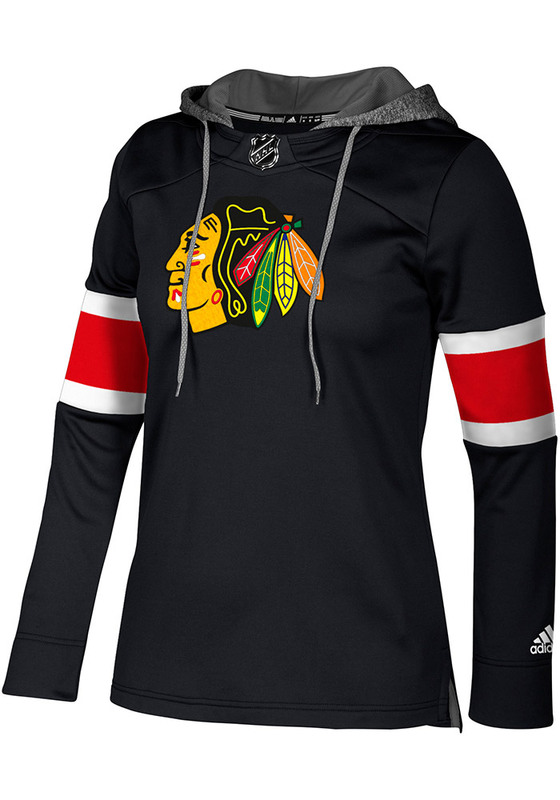 Fight off the chill in this Chicago Blackhawks Womens Black Jersey Crewdie Hooded Sweatshirt. 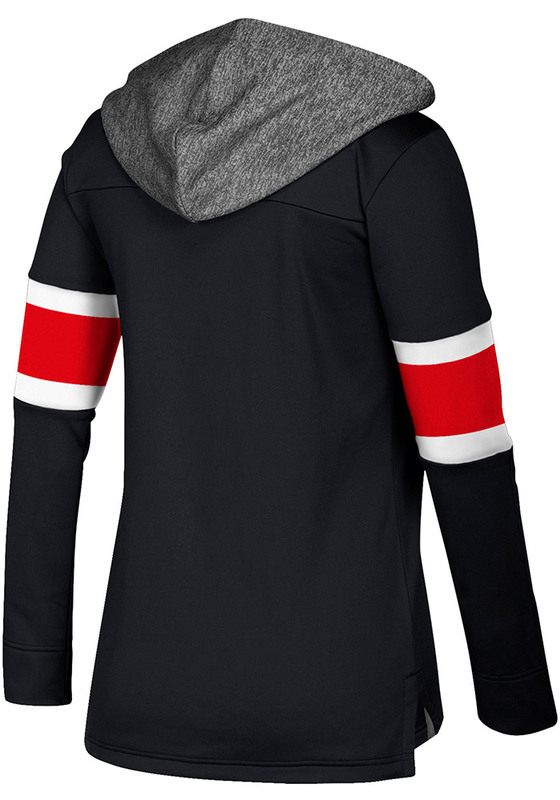 This Blackhawks Long Sleeve Hoodie features a two-layer tackle twill team logo applique, contrast hood, and sleeve stripes.